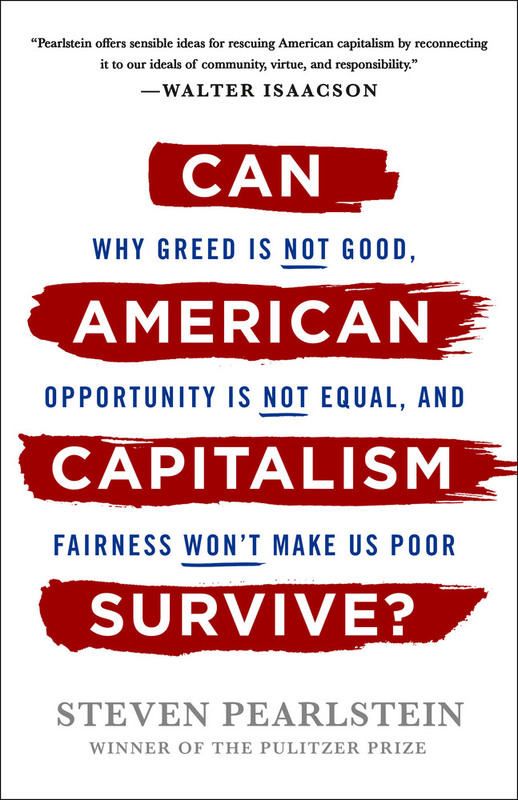 Pulitzer Prize-winning economics journalist Steven Pearlstein argues that our thirty year experiment in unfettered markets has undermined core values required to make capitalism and democracy work. Thirty years ago, “greed is good” and “maximizing shareholder value” became the new mantras woven into the fabric of our business culture, economy, and politics. Although, around the world, free market capitalism has lifted more than a billion people from poverty, in the United States most of the benefits of economic growth have been captured by the richest 10%, along with providing justification for squeezing workers, cheating customers, avoiding taxes, and leaving communities in the lurch. As a result, Americans are losing faith that a free market economy is the best system. 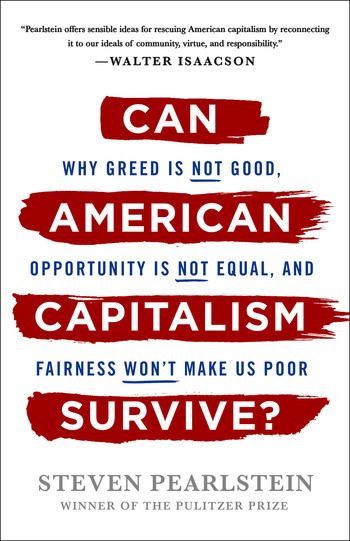 In Can American Capitalism Survive?, Pulitzer Prize-winning journalist Steven Pearlstein chronicles our descent and challenges the theories being taught in business schools and exercised in boardrooms around the country. We’re missing a key tenet of Adam Smith’s wealth of nations: without trust and social capital, democratic capitalism cannot survive. Further, equality of incomes and opportunity need not come at the expense of economic growth. Pearlstein lays out bold steps we can take as a country: a guaranteed minimum income paired with universal national service, tax incentives for companies to share profits with workers, ending class segregation in public education, and restoring competition to markets. He provides a path forward that will create the shared prosperity that will sustain capitalism over the long term. Praise for Can American Capitalism Survive? Steven Pearlstein is a Pulitzer prize-winning columnist for The Washington Post and the Robinson Professor of Public Affairs at George Mason University. He was awarded the Pulitzer Prize for Commentary in 2008 for columns anticipating and explaining the financial crisis and global economic downturn. In 2006 he won the Gerald R. Loeb Award for business and financial commentary, and five years later the Loeb Award for lifetime achievement. He has appeared frequently as a commentator on television and radio. He is the author of Can American Capitalism Survive? He lives in Washington with his wife, Wendy Gray.